GSA 8(a) STARS II is a Small Business Set-Aside (SBSA) Government Wide Acquisition Contract (GWAC) that provides flexible access to customized Information Technology (IT) solutions. 8(a) STARS II allows sole-source task order awards for orders under $4M, including options. Directed task orders are up to $4M. Barling Bay, LLC was awarded STARS II under Functional Area 4 with NAICS code #541519 (Other Computer Related Services). ITS-SB is a Multiple Award Indefinite Delivery Indefinite Quantity (MA IDIQ) contract vehicle. 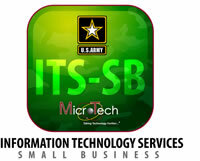 It is the Army�s source of Small Business Service contracts for IT-related services within CONUS. The purpose of ITS-SB is to meet the Army�s enterprise infrastructure and infostructure goals with a full range of innovative, world-class IT support services and solutions at a reasonable price. Through the use of ITS-SB, users have a flexible means of meeting IT service needs quickly, efficiently and cost-effectively. Ordering under the contracts is decentralized and is authorized to meet the needs of the Army, DoD and other Federal agencies. Orders may be placed by any contracting officer from the aforementioned agencies. The Army Contracting Command (ACC) and Army Computer Hardware, Enterprise Software and Solutions (CHESS) has awarded Information Services- Small Business (ITS-SB) contract vehicles for the Army that provided a mechanism to obtain Information Technology (IT) services necessary for the Army to satisfy its support of the Army enterprise infrastructure and infostructure goals within CONUS (for this acquisition, CONUS includes Alaska and Hawaii)ITS-SB, a multiple-award, Indefinite-Delivery/Indefinite-Quantity (IDIQ) task-order contract, will provide the Army with a full range of innovative, world-class IT support services and solutions. The contract will enhance the Army�s Net-operations/Net-centric capabilities and help provide a common �look and feel� for Army applications at all levels of the strategic and tactical enterprise. ITS-SB includes services-based solutions under which contractors will provide a full range of IT equipment. Therefore, end-to-end solutions are included to satisfy CONUS development, deployment, operation, maintenance, and sustainment requirements. Additionally included is support to analyze requirements, develop and implement recommended solutions, and operate and maintain legacy systems, and equipment. The scope of ITS-SB is broad, sufficiently flexible to satisfy requirements that may change over the period of performance, and fully comprehensive so as to embrace the full complement of services that relate to IT. ITS-SB encompasses certain core competencies of the IT market and is being considered a small business augmentation to the ITES contracts within specific task areas. The anticipated value for ITS-SB effort is $400 Million. The Army is looking to small businesses to fill in the gaps left by the two ITES contracts. ITS-SB will supply IT services in the specific task areas missed or limited under the current large ITES-2S and ITES-2H requirements. 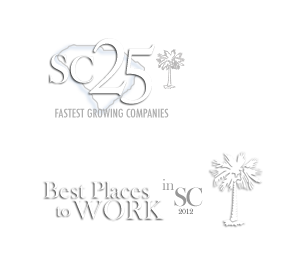 ITS-SB brings technology services directly to the small business community. As evidence to the necessity of this requirement, contracting officials have released volumes of information and developed an ambitious procurement strategy. Task Orders may be placed by any Contracting Officer in the Army, Department of Defense, and other Federal Agencies. Ordering is decentralized. There is no fee to utilize the ITS-SB contract. TIPSS-4 Information Technology Services (ITS) is a multiple award, Indefinite Delivery/Indefinite Quantity (IDIQ) contract, with specific support service requirements defined at the task order level to satisfy a variety of needs with the Internal Revenue Service (IRS).